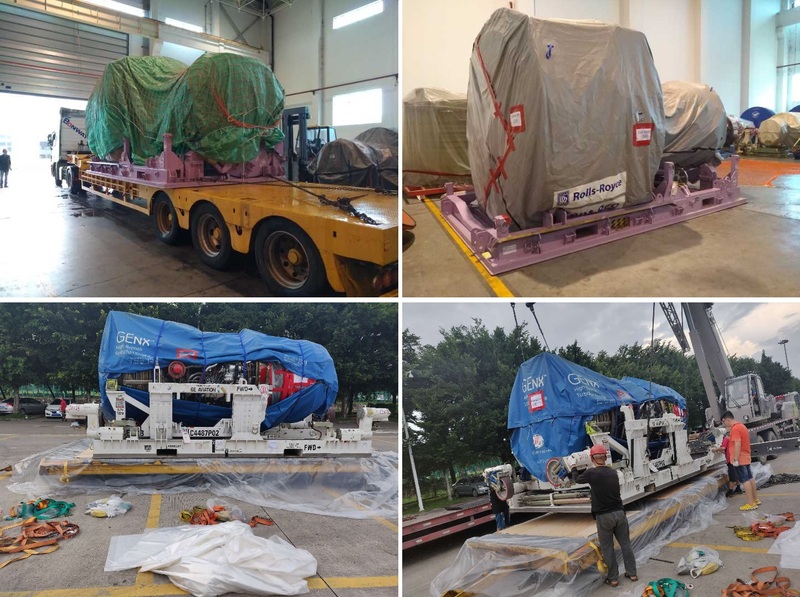 Beijing Monking Associates Int’l Forwarding Co Ltd, Globalia member in Beijing, China, has transported a Trent 970 engine for Airbus and a GEnx engine for Boeing B787 for China Southern Airlines. The Trent970 was moved to Hong Kong by an air suspension truck, from where SQ Airlines would move it to Amsterdam via Singapore. From Amsterdam, the engine would be hauled to a German MRO facility. The GEnx engine was shipped to Incheon Airport, Korea, by KE, from where Beijing Monking arranged for air suspension trucking from ICN airport to a local MRO facility. A crane was required to upload and download the cargo. “We handle both inbound and outbound parts & spares for China Southern Airlines since 2010 and we operate our own air suspension trucks for the transport of engines and helicopters. Aviation and aerospace logistics accounts for 85% of our business. Therefore, it shouldn’t come as a surprise that this significant project was handled flawlessly by our team,” says Jonathan Ma, CEO of Beijing Monking. Congratulations to Beijing Monking Associates for the perfect execution of this project!